Mag Kit Strap Attachment - Strong rare earth magnet attaches to metal surfaces in the testing environment, allowing the technician to work "hands free"
Whether you require basic fiber verification capabilities, advanced cable troubleshooting and inspection, or documented loss and power measurements, Fluke Networks’ SimpliFiber Pro® Optical Loss Test Kits provide you with the rugged, high quality tools that meet your fiber testing needs. The Complete Fiber Verification Kit is for contractors and network technicians who install and maintain premises networks with both multimode and singlemode optical fiber. 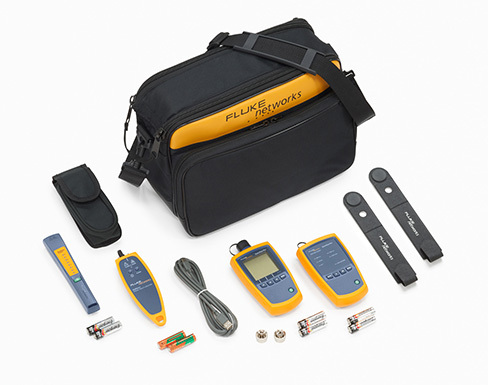 Use this kit to verify optical loss and power levels at 850, 1300, 1310, and 1550 nm, inspect fiber end-faces, locate cable faults, connector problems, and polarity issues. 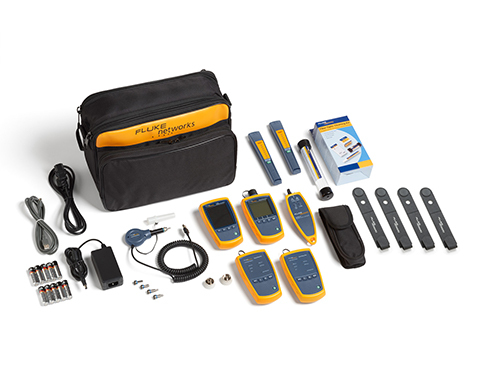 Kit includes FI-500 FiberInspector Micro. The Complete Fiber Verification Kit is for contractors and network technicians who install and maintain premises networks with both multimode and singlemode optical fiber. 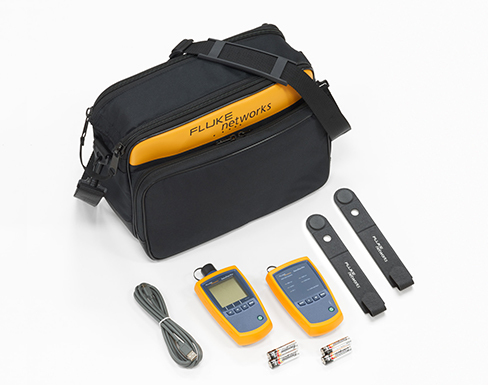 Use this kit to verify optical loss and power levels at 850, 1300, 1310, and 1550 nm, inspect fiber end-faces, locate cable faults, connector problems, and polarity issues. Kit combinations offer a variety of inspection options. The Basic Verification Kits are great starter kits for contractors and network technicians who install and maintain fiber links. Available in singlemode or multimode configurations, quickly verify optical loss and power levels at 850 and 1300 nm or 1310 and 1550 nm. Add additional sources, microscopes, and VFL options as needed. 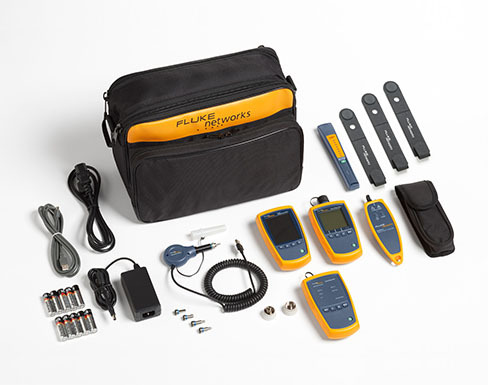 Consisting of the CableIQ (CIQ-KIT) and the SimpliFiber Pro Basic Verification Kit (FTK1000), Fluke Networks' Copper and Fiber Technician's Kit provides a robust combination of tools to help you expertly manage your network to it keep it running smoothly and inexpensively. Simple-to-use straight from the box, you can do everything from quickly troubleshooting and qualifying cabling link bandwidth to verifying optical fiber power and loss. An important addition to your verification, troubleshooting, and inspection tasks is fiber cleaning. Dirt, dust, and other contaminants are the enemy of high-speed data transmission over optical fiber. Today's network applications require more bandwidth, making loss budgets tighter than ever. It is critical that all optical connections are clean and free of contaminants to ensure application success. Fluke Networks’ Fiber Optic Cleaning Kits have the best tools to effectively remove the toughest contaminants with ease. Fluke Networks' powerful LinkWare software helps you quickly organize, edit, view, print, save, or archive test results by job site, customer, campus building, and more. You can merge test results into an existing database and then sort, search, and organize by any number of data fields or parameters. LinkWare is available free from our web site. As a contractor, once your work is done, you can give this powerful application to your customer so they can have instant access to the data electronically or you can export the data as an Adobe Portable Document Format (PDF). LinkWare prints professional, graphical reports with color graphs depicting the measured test parameters. You can choose which parameters to print and the order in which graphs appear. Reports can also be customized with your company logo. LinkWare now supports LinkWare Stats, an automated statistical report option that allows you to move above and beyond the page-per-link report and see your entire cabling infrastructure. It analyzes and transforms LinkWare cable test data into graphics that reveal your cabling plant performance-summarizing your entire cabling infrastructure in a compact, graphical format that makes it easy to verify margins and spot anomalies. See what LinkWare Stats can do with your data - a free demo version of LinkWare Stats is included with every copy of LinkWare. The laser-powered VisiFault™ Visual Fault Locator verifies continuity and polarity, and helps find breaks and bends in cables, and locate problems in connectors and splices. VisiFault emits a bright beam of red light easily visible from a distance. Connect the VisiFault to one end of a fiber - then locate that fiber at the other end, even if it is one of many fibers either in a cable or terminated in a rack. Perform simple end-to-end continuity checks. The integrated universal 2.5 mm adapter makes for easy connection to SC, ST, FC, and FJ connectors. The optional 1.25 mm adapter allows for connection to LC and MU connectors. Attach the VisiFault to your belt using a lanyard or in the carrying case so it is always on hand when you need it. Long battery life for hours of use, includes two AA batteries giving you more than 80 hours of continuous mode battery life. VisiFault incorporates an energy-absorbing holster over an impact-resistant case to withstand drops, impacts and rough treatment. Together with a heavy-duty tethered end cap to protect the fiber adapter, VisiFault is the VFL for demanding field applications. 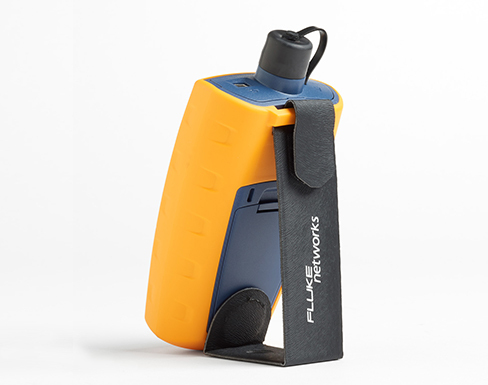 Unlike more fragile VFLs that utilize a flashlight body or plain plastic case, Fluke Networks engineered the VisiFault custom-case to be compact, ergonomic and mechanically tough for field use. Gold Support for your SimpliFiber Pro Optical Power Meter & Fiber Test Kits allows you to make the most of your SimpliFiber Pro purchase while ensuring a higher return on your investment. You will minimize your downtime, receive faster trouble resolution and have total access to all support resources. 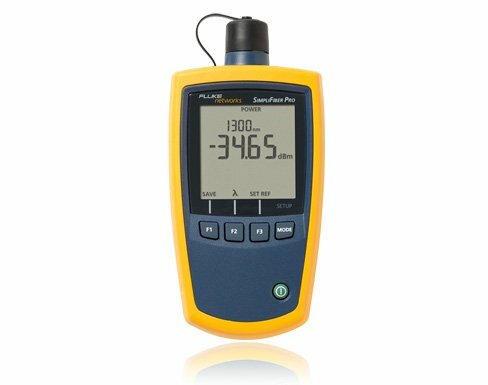 What do you get with Gold Support for your SimpliFiber Pro Optical Power Meter & Fiber Test Kits? Annual Calibration and Factory Refresh - Keeping your SimpliFiber Pro calibrated is critical to ensure accuracy when testing fiber. Our calibration processes are controlled and designed to certify that your SimpliFiber Pro meets all published specifications. Typical turnaround time for a calibration is 5 working days. Your SimpliFiber Pro will be calibrated to factory specifications (calibration certificate provided), upgraded with all of the latest software and firmware then cleaned and performance verified. In addition, all accessories that came with your SimpliFiber Pro will be tested and replaced if faulty or defective. 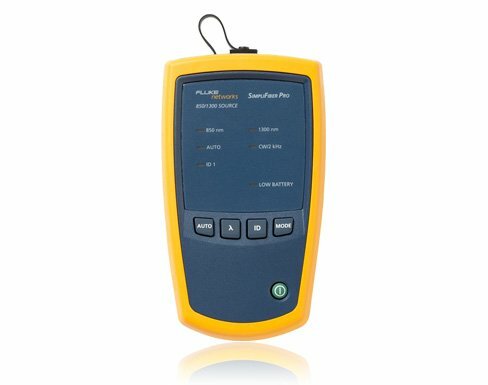 Repairs and loaner equipment - If your SimpliFiber Pro Optical Power Meter & Fiber Test Kits should fail and need repaired, you will receive a replacement unit to keep - all shipping paid by Fluke Networks. Accessory Replacement - Some accessories are essential to testing fiber. If any accessory that comes with your SimpliFiber Pro model are qualified as defective or faulty by our technical assistance center, it will be replaced free of charge. Access to live 24 x 7 technical support - Extend the expertise of your staff. Gold Support includes priority access to our world-class Technical Assistance Center (TAC). Our centers in Seattle, WA and Eindhoven, NL employ a full staff of highly trained technical experts that are on call, including weekends and through the night, to answer complex troubleshooting questions, including GOLD only services such as: Test set-up and instrument configuration, Fiber testing and reference setting, Test results interpretation, including trace results analysis. Ensure that you are getting the most out of your SimpliFiber Pro Optical Power Meter & Fiber Test Kits with Gold Support Services.